Make a new copy of this document? This copy will appear in your document list. 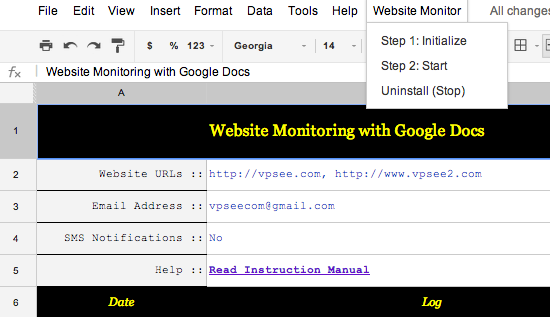 如果对背后的代码有兴趣的话，可以看看原文 Website Monitor with Google Docs.